Free baby boxes arriving at homes around New Jersey – The Baby Box Co.
Cardboard boxes, already among man’s most versatile creations, are taking on a new role in New Jersey: keeping babies safe while they sleep. Since January, about 7,000 bassinet-sized boxes featuring snug-fitting mattresses and, in some cases, cartoon manatees have arrived at homes in the Garden State, and another 6,000 are due to arrive by the end of the week, according to the company providing them to the state. The “baby boxes” are being given free of charge to new and expectant parents as a way to promote safe sleep environments for newborns and thereby lower the incidence of sudden unexpected infant death. New Jersey has one of the lowest rates of infant mortality in the country, but it is still nearly double that of countries such as Finland, which has been using baby boxes since the 1930s. “As long as we’re losing any children, there’s work to be done,” said Dr. Kathryn McCans, a pediatrician at Cooper University Health Care in Camden and chair of New Jersey’s Child Fatality and Near Fatality Review Board. 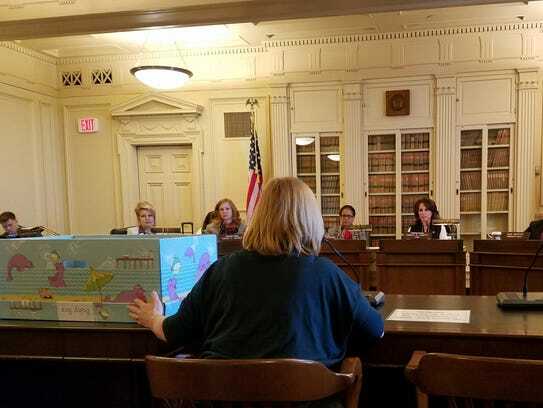 The simple design of the boxes reflects what makes for a safe sleep environment for babies, McCans told the Assembly Women and Children Committee during a hearing Monday. Babies should sleep on their backs on a firm mattress with no blankets, pillows, bumpers or stuffed animals, which are all suffocation hazards, she testified. “What we need people to do is spend less money on all the trappings,” McCans said. In addition, she said, parents should not place their baby with them in bed, where they could accidentally roll over on the baby. In 2014, the most recent year for which statistics are available, 57 of the 61 cases of sudden unexpected infant death that occurred in New Jersey involved unsafe sleep conditions, according to a recent report from the Child Fatality and Near Fatality Review Board. In more than half the cases, the baby was sharing a sleeping surface with another person. New Jersey's program is a partnership between the review board and The Baby Box Company, based in Los Angeles, and was launched using a grant from the Centers for Disease Control and Prevention. It aims to distribute 105,000 boxes in its first year, corresponding to the expected number of births in 2017, said Caleb Hudgins, director of research at The Baby Box Company. The boxes have been tested against the U.S. Consumer Product Safety Commission's bassinet standard, he said, and can serve as a bed for the first three to six months of a baby’s life. “We want all families to be able to access this program regardless of socioeconomic status,” he said. 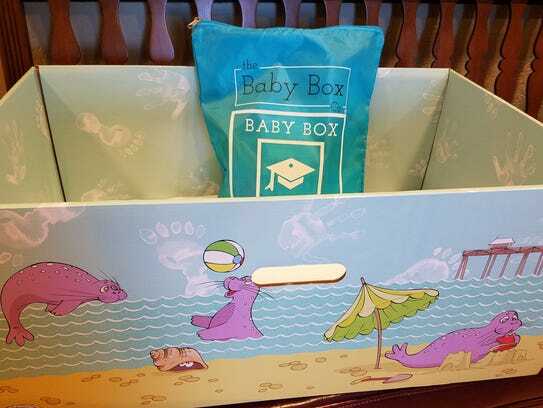 In order to receive a baby box from The Baby Box Company, parents must complete an online parenting education program lasting about 15 minutes through the company’s website, babyboxuniversity.com. Parents can then pick up their box at a distribution center or choose to have the box delivered for free to their home. The boxes include such supplies as diapers, wipes. a onesie and breastfeeding supplies. Also on Monday, the Assembly Women and Children Committee unanimously advanced a bill that would require the state Department of Children and Families to prominently feature information about the program on its website. An earlier version of this story misstated testimony from Caleb Hudgins about how baby boxes from The Baby Box Company had been tested. He said they had been tested against bassinet standards set by the U.S. Consumer Product Safety Commission, not tested by the commission.